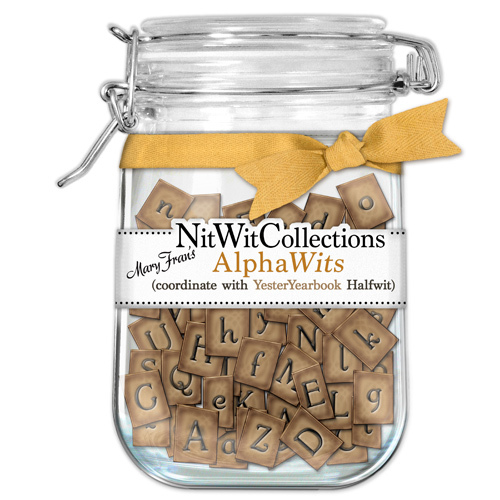 Okay so I had some requests for an alpha to match the numbers that are in my YesterYearBook Halfwit... and here at Nitwitcollections we aim to please! hahahaha So for those of you who asked for it... here's my AlphaWit "Yesterwits". Hope you spell lots and lots of impressive words with 'em... long words too. Like "grasshopper". 1 AlphaWit set in both Upper and Lower Case letters with an exclamation point, question mark, and hyphen thrown in for good measure!